You’re only really dressed after you’ve put on your shoes, slipped on your bracelet and earrings and grabbed that clutch. I too love my favorite accessories, so I’ve put together a few accessories that are hot and trendy. 1. Belts: Belts instantly glam up the look of any outfit. Trousers and skirts look best with belts. Skinny belts are great over feminine dresses, shirts, blouses. T-shirts and jackets and separates. Broad belts can be worn slung low with low-waisted skirts, dresses and trousers. Extra long wraparound belts look super stylish on blouses and shirts. If you have a narrow waist, clinch it with a broad belt. 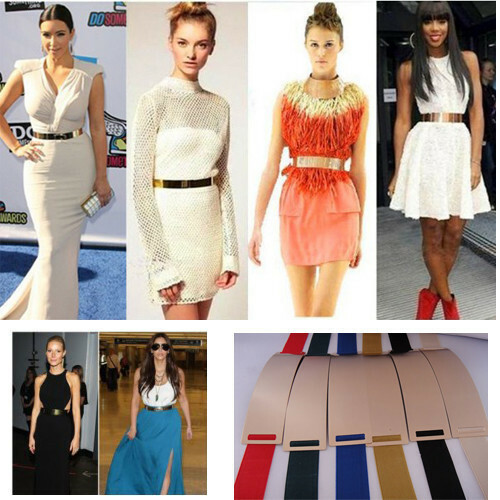 Remember, thick belts create a dramatic, waist-narrowing look. If you have a big belly, wear medium-sized belts with non-chunky buckles just below your waist but not so low that they become a harness for your stomach. If you have bigger hips, wear your belt higher up on the empire line over shirts, tunics and dresses. Those of you who have been blessed with an hourglass figure can best emphasize their figure by wearing belts on the true waist. Feminine, animal print belts, brightly colored belts are very popular. 2. Jewelry: A single statement-making jewelry piece is all you need to dress an ensemble. Explore jewellery options in non-metal materials too, like fabric, glass, paper, acrylic and leather. Mix classics like pearl strings with contemporary styles. Rings and bracelets are great to wear to lunches and dinners, while neck pieces are perfect for cocktail parties. With earrings, if you have a round face, long earrings will help to elongate the shape, while hoops and studs will only emphasize roundness. Those of you with square faces and angular jaws should shop for earrings with round shapes (like hoops) in medium to long lengths. Stay away from geometric, sharply-angled styles. If you have an oval face, you can wear almost all styles, with teardrops and studs being especially flattering. 3. Shoes:High heels equal glamor, flats equal comfort and urban chic. Peep toes, pumps are the hot trend. Wear your stack heels, stilettos, platforms and boots with tights. Detailing like flowers and metal studs make for cool styles. Flip flops, feminine sandals are also very popular. Flats are good to go to the park or the beach or the local shops or to walk to work in. Just make sure that the heels you wear are of the right size, don’t have poorly balanced heels. Look for 3D detailing like applique and prints for day bags. Stones, rhinestones and crystals are exciting embellishments for dress-parties. 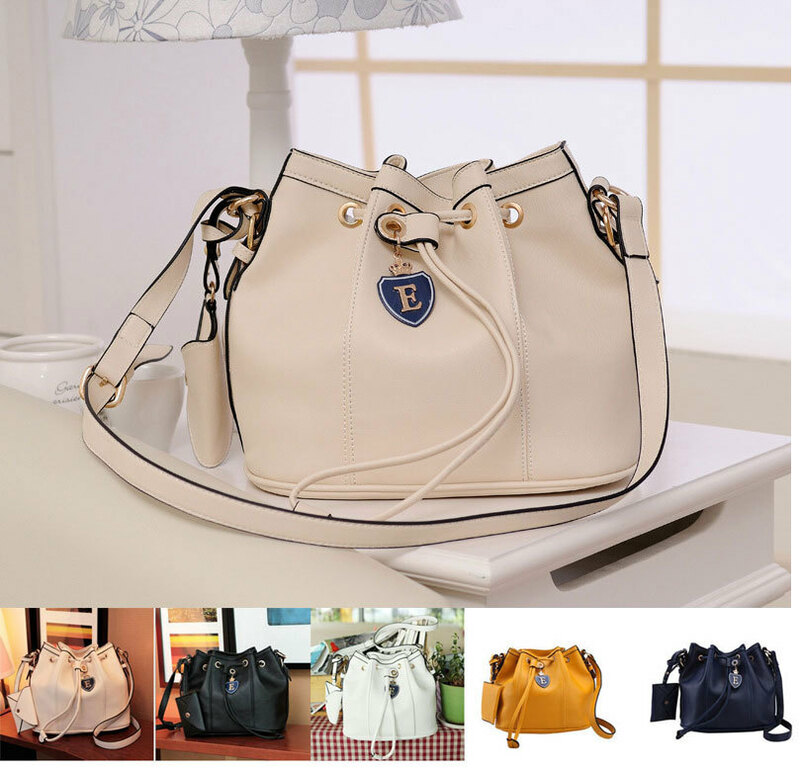 If you can buy only a few, go for a neutral-colored classic handbag for office, a dressy clutch for evening, a casual tote to take shopping, a trendy sling or hobo to carry when you’re out with friends or an Eco-friendly cloth bag to carry your etceteras. If you are pear-shaped avoid bulky satchels that end at your hips. If you are top-heavy, a long-slung handbag is a better option than the kind you have to hold under your arm. Threesomes You’ll Love: Check out these daytime and nighttime combos that you may find useful. Day bag by Gucci, Woven skinny belt from Calvin Klein, Patchwork pump shoes go well together. Over sized Tote by Aldo, Belt with gold buckle from Charles and Keith, Ankle-strap pumps from Charles and Keith is good for a formal daytime get-together. Big bag from Fendi, Studded belt, tribal wedges from Marc Cain is good for a friendly daytime party. Holdall from Marc Cain, White belt with studs from Calvin Klein, silver gladiators from Tresmode goes well for informal friendly get-togethers, or adventurous outings. Jewel-encrusted clutch, available at boutiques, matching broad belt, animal patter pumps can be worn for friendly informal night outs. Silver clutch, shaded belt from Marc Cain, sling bags by Jimmy Choo look good on formal night outs. White clutch from Charles and Keith, red belt and white and black wedges can be worn for family night outs. Black clutch, cut-work belt and golden pumps can be worn on night out parties. Kitsch clutch, patent leather belts, golden cork-heeled wedges by Elizabeth Hurley can be worn on friendly get togethers and parties. ← Is It Fashionable To Be Thin? Good tips about matching earrings to face shape and bags to body shape. Love the pearl & green bracelet and purple shoes!